If you are moving to New York City any time soon, you should learn which regulations are valid there. Especially if you are moving from another state. Even though there is a big chance a lot of things are the same, you must be a hundred percent sure. Otherwise, you could find yourself in big trouble. And that is something you want to avoid. And one of the things people forget when moving is a car registration process. 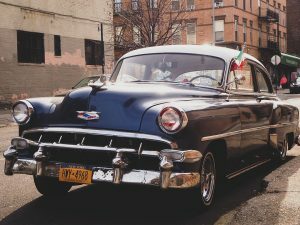 Therefore, you must register your out of state car in Brooklyn once you move, and here is how to do that. Important to realize is that your relocation starts way before the moving day. There are a lot of things you need to cover in order to have a safe and smooth relocation. What you need to know is that you will need a lot of time and money in order to successfully complete this undertaking. Therefore, it would be smart to calculate your NYC moving costs in advance. But, in case you are moving for the first time, you will need to learn about moving expenses in general. 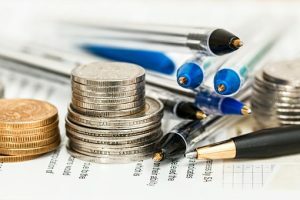 There are a lot of things you’ll need to pay for, and it is important to include them all in your moving budget. Only that way you will not have unexpected expenses and will be able to distribute your money as you planned. Besides research, planning, and budgeting your move, there are other important things you need to do. And the number one on that list is to find a good and reliable moving company. This is particularly important, especially if you are moving from a different state and will not be able to oversee the transportation process. In case you are no able to drive to New York City, you must get a specialized car moving service as well. Owning a car in Brooklyn will come really handy, but you must find a way to bring it there. Also, there will be a lot of paperwork to deal with, before and after the move. Therefore, you must take bring all documentation with yourself. As mentioned before, there will be a lot of documentation to handle. Besides important moving documents, you must make sure you have all personal documents as well. And these include your car-related papers. In case you forget even one paper, you could end up stuck once you try to register your out of state car in Brooklyn. New York State Insurance Identification Card (Form FS-20). As State of New York doesn’t accept out of state insurance, you will need to get a local one. 2-year fee – 32.5$ for electric cars or car with 6 or more cylinders. In case you have a different type of engine, this fee is based on the weight of the vehicle. Important to realize is that you will not have unlimited time to register your out of state car in Brooklyn. 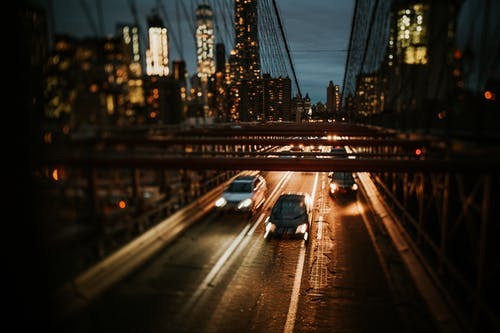 As a matter of fact, once you become a resident of New York City, you will have 30 days time frame to change your driver’s license, get New York car insurance and register your car. In case you miss this frame, you will need to pay a fine which is not small. Therefore, make sure you schedule your visit to the DMV in the earliest possible convenience. As soon as you finish with these things, you will be able to hit the roads of New York City in your car. And that is when the fun begins. Now you know the procedure to register your out of state car in Brooklyn. Keep in mind that you have a limited time frame for this task, hence plan your activities in advance. Moving can be quite demanding, and you will not have much free time. Therefore, plan your move and post-moving activities to the last detail. Luckily, there are some pretty good moving services Brooklyn, so you will be able to focus on other things while movers handle your relocation. Additionally, remember to keep enough money in your pocket, as some unexpected costs could delay your plans. Therefore, once you head to the DMV, make sure you have some extra cash. And that is it. 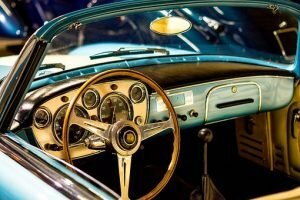 With little luck, you will be able to complete your duties regarding your car in no time. Once you finish that, you can start your New York City adventure. Good luck!